A session in honor of the Arctic and Antarctic Scientific Research Institute's 85th anniversary took place on Thursday in St Petersburg. According to an institute spokesman, heads of the Federal Service for Hydrometeorology and Monitoring of the Environment, the city administration, scientific and educational establishments, as well as well-known scientists and polar explorers attended the session. "The institute is the only one in Russia that studies the polar regions of the Earth," the spokesman said. The history of the Institute began on March 4, 1920 when a Northern Scientific Industrial Expedition was organized. Five years later it was reorganized as the Institute of Northern Studies. In 1930, it was renamed the All-Russian Arctic Research Institute and became a center for studying the Russian Arctic, ensuring the requirements of navigation along the Northern Sea Route and of other branches of the national economy in the extreme North. In the 1930s, well-known scientific expeditions took place on the icebreakers Sedov, Sibiryakov, Chelyuskin and Sadko, studying the Arctic seas and adjoining areas. In 1937, the world's first drifting station, North Pole-1, was organized in the Arctic area. In 1958, the Institute, the government gave the institute additional duties, such as the organization and coordination of national studies in the Antarctic. It was then renamed the Arctic and Antarctic Scientific Research Institute. 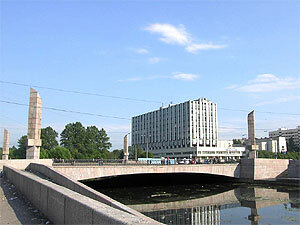 In 1994, the institute was granted the status of Russian Federation State Research Center. The institute currently carries out fundamental and applied studies in the Arctic regions of Russia and in the Antarctic for federal targeted programs, government resolutions and the orders of the Russian Hydrometeorological Service and other Russian and foreign organizations. The institute's structure includes 21 scientific branches, the Center of Ice and Hydrometeorological Information, the Russian Antarctic Expedition and a scientific research fleet that has a unique icebreaker called The Academic Fyodorov. The Institute is currently conducting the 50th Russian Antarctic expedition at five stationary and two seasonal polar stations and from the scientific expeditionary ships, The Academic Fyodorov and The Academic Karpinsky. The aim of the Institute's most important studies is to work out a method of diagnosing and forecasting the state of the Polar region's natural surroundings and to ensure the safety of the ships and the facilities under construction in the Arctic shelf.